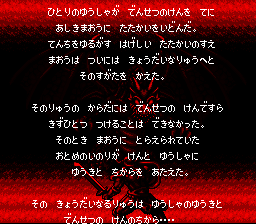 Romhacking.net - Translations - Hanjuku Hero: Aa, Sekaiyo Hanjukunare...! 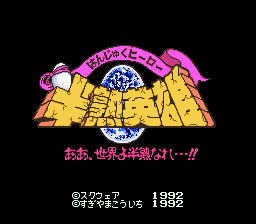 This is the second title in Square’s Hanjuku Hero series, which has yet to see any releases outside Japan. It’s a light-hearted, pun-filled strategy RPG with an egg motif. 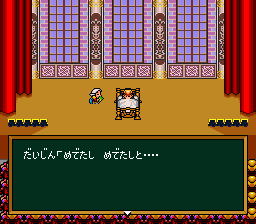 The graphics look similar to Final Fantasy IV and other early SNES titles by Square, and the game includes a few Final Fantasy references. You move units that are led by Shogun around a map in real time, attempting to capture fortresses, but clashes between units are turn-based—much like Ogre Battle. You can use an egg to summon an Egg Monster or play a Trump Card to turn a fight in your favor. 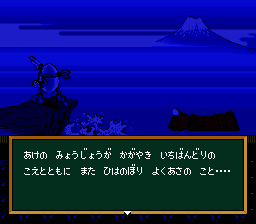 There are also random events which can help or hurt the player. 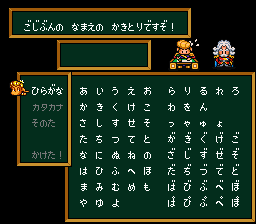 Once, a long time ago, maht of RPGe was hacking and translating this game. Then he gave up on it, and RPGe disappeared. So la.